Every November, in anticipation of the upcoming Thanksgiving holiday, I start thinking about gratitude. I do, and certainly should, think about it all year long. But, in November, I always like to clear my head before the busyness of the Christmas season and think about all that I am thankful for. I try to pull my girls into these conversations too. We talked about gratitude a lot. This year, I made a simple gratitude journal to jump start the conversation. 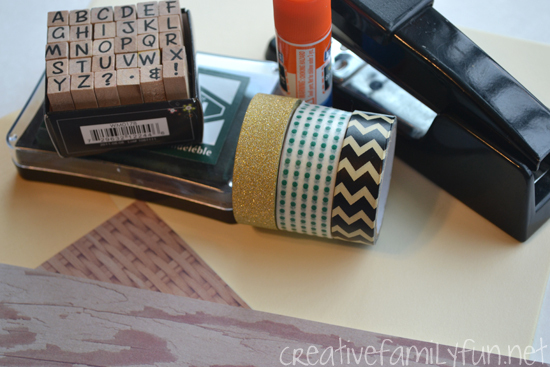 The journals are very easy to make and are the perfect craft for your older child, tween, or even teen. And, once you’ve finished this fun craft, you can find all of our Thanksgiving crafts for kids at this link. 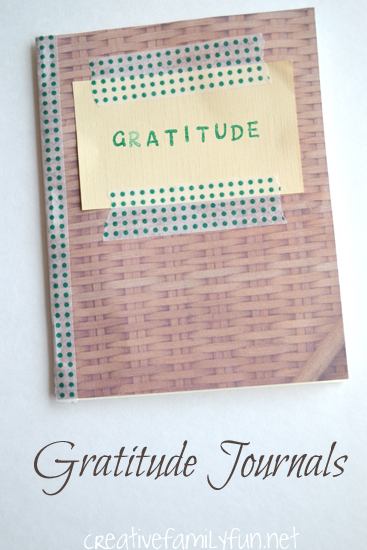 For each gratitude journal, you will need 1 piece of scrapbook paper and 4 pieces of plain paper. I used a pretty cream paper we had. Plain copy paper would work as well. 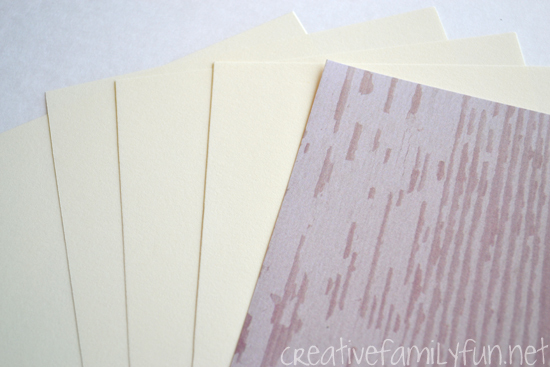 Each piece of paper was cut to the size of 8-1/2 by 5-1/2. This is the size of half of a sheet of copy paper. Fold each piece of paper in half and sandwich them all together to make your book. 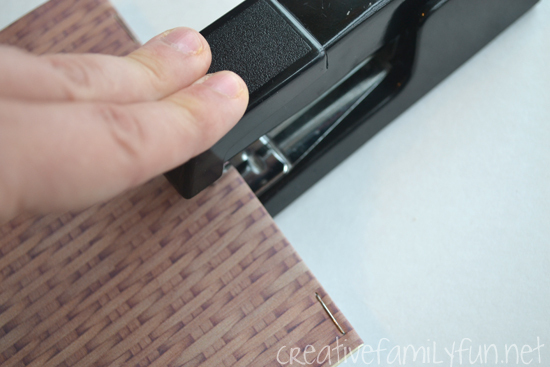 Staple along the folded edge to keep your book together. I used three staples, at the top, middle, and bottom. 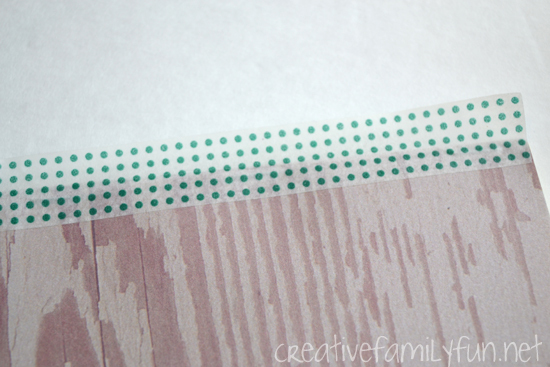 I also cut a small piece of paper and attached it to the front of our journals with glue stick and washi tape. 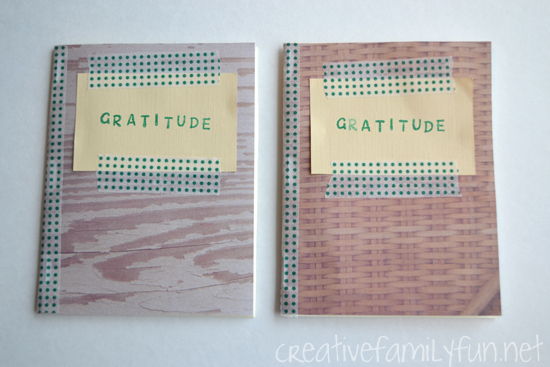 I used the alphabet stamps to stamp the word “gratitude” to the front of our journals. Now that the journals are finished, it’s time to fill them up. You can use them to simply list all the things you are thankful for or use it in a diary format and write down one thing a day. If your child needs a few prompts, write “I am thankful for…” at the top of each page. Anything goes. Make one journal for the whole family to share. Take turns sharing all the things you are grateful for. Share your journals at the dinner table or at bedtime. Use the time to talk about gratitude and give thanks together. No child is too young! Start the conversation with your little one and help them find things they are grateful for. Record all their ideas in this little journal and remember to include the date. Ten years from now, you’ll love and treasure all their thoughts.